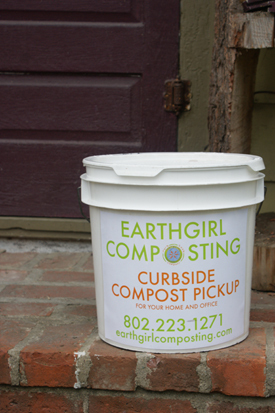 Sign Up for Curbside Compost Pickup with Earthgirl Composting! Yes, please use a Tofu bucket. Receive 25% off the cost of four pickups for each household or business you refer that signs up with Earthgirl Composting. If you fill multiple buckets for each pickup, the discount will apply to four of your buckets.